Brought to by Publix and Glutino. Flavor: How does the flavor compare to real, gluten free cookies? Sweetness: Do they actually taste like dessert or are they just another cardboard tasting snack? Softness: Are they soft, and chewy or hard and stale? Sassiness: On a scale of one to Spock, how sassy are they? Well I got to say I was a bit skeptical to buy these cookies. 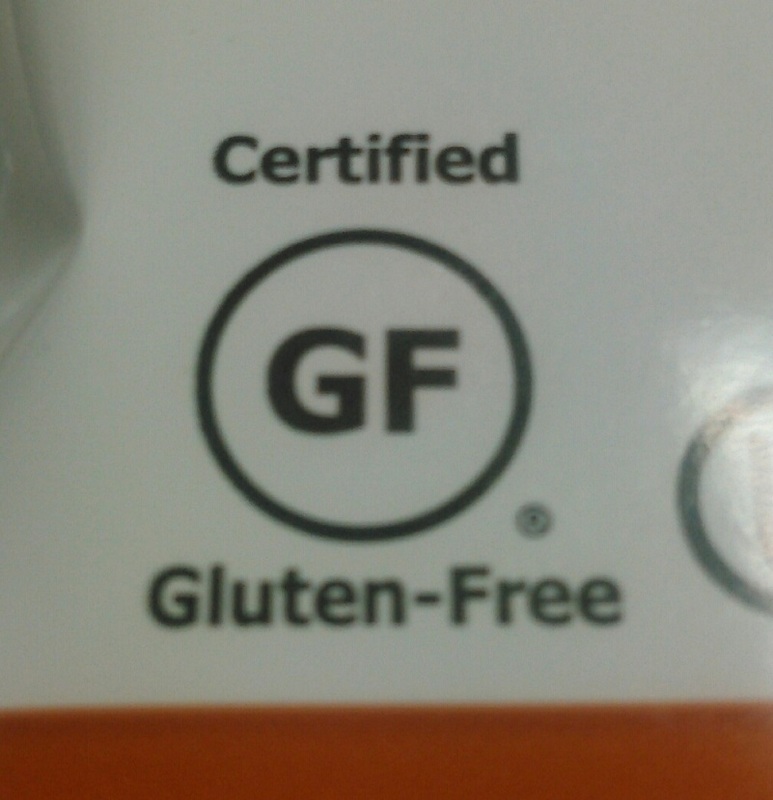 Usually when you make a snack gluten free, it takes all the taste and heavenly goodness out of it. I woke up in a bad mood today though, and thought what else do I have to lose? My day is already crappy, these cookies couldn’t possibly make it any worse. 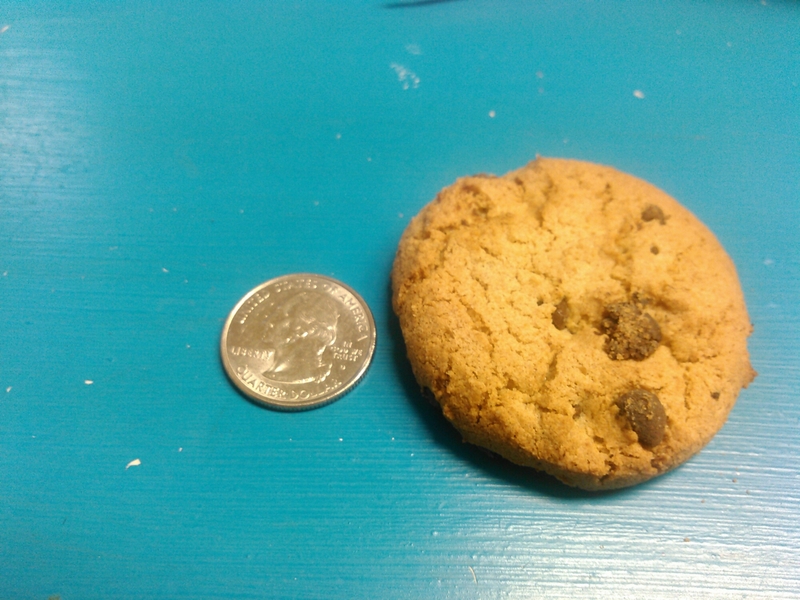 When I pulled the first cookie out of the sleeve, I was expecting to taste a chocolate riddled piece of cardboard. I took my first bite. Boy was I wrong! This cookie was delicious! It tasted like a regular chocolate chip cookie. More than that actually. It tasted like a chocolate chip cookie sprinkled with unicorn tears. Not only did it not taste like cardboard, it was actually very sweet. I was also expecting it to look nothing like the package and only have about two chocolate chips. False! 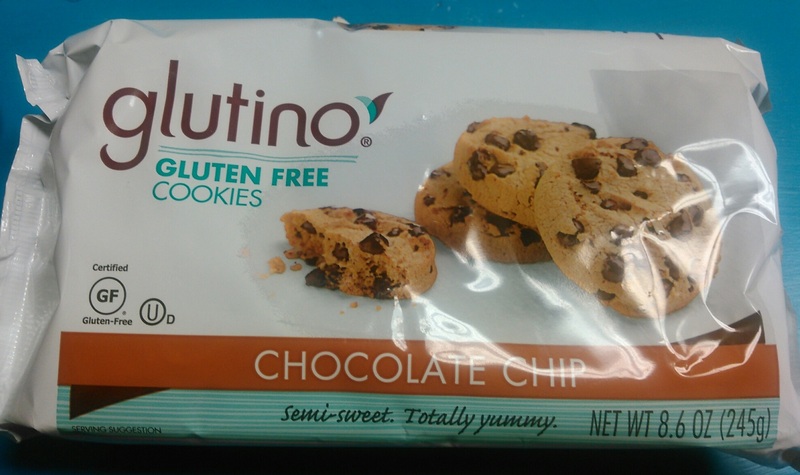 Glutino definitely delivered on the chocolate chips. There were so many chips in eat cookie that it brought tears to my eyes. I have a slight chocolate obsession and these cookies definitely filled that need. Flavor: I would say they taste BETTER than regular chocolate chip cookies. Sorry Nabisco. They get a 10. Sweetness: These were definitely really sweet. They were almost a little too sweet. Almost. 9. Softness: They definitely weren’t soft and gooey like Keebler cookies, but hard like Nabisco cookies. That’s not a bad thing though. They weren’t stale tasting like some GF snacks I’ve had. I also didn’t brake any teeth trying to eat any because they weren’t too hard. I guess they were firm. Can you describe a cookie as firm? I guess now you can. 8. Sassiness: On a scale of one to Spock (who in my opinion is pretty sassy), these cookies are a Captain Kirk (or a 9). I just watched Star Trek again this weekend. Hence my sassy scale. Over all these cookies get a 36. I would definitely forever choose these cookies over gluten filled cookies. Mostly because I have to, but if I had a choice, these would be it. I really can’t taste a difference except that these test better. Well done, Glutino. Thanks for making taste-y GF treats.